When it comes to hotels in Brighton, there are certainly lots of excellent examples to write about such as the Royal Albion, Grand and Metropole. The Old Ship Hotel, however, holds one accolade that none of the others can top – it is Brighton’s oldest. The Ship, as it was known until the New Ship opened opposite in 1650, is said to date back to 1559. The Royal Albion, the Grand and the Metropole didn’t open until 1826, 1864 and 1890 respectively. Ship Street was named after the hotel, not the other way around. The hotel probably took its name from the ship timbers of which it was once constructed. The imposing seafront façade didn’t come until later after various acquisitions and additions; hence the mix of styles and rabbit warren corridors. Its actual address today is 31-38 King’s Road and 73 Ship Street! During the 1760s, there was great rivalry between the Old Ship and another nearby inn, the Castle. In 1766, the Castle’s owner, Samuel Shergold, commissioned the architect John Crunden to build assembly rooms for grand functions. In 1767, the Old Ship’s owner, John Hicks, employed the architect Robert Golden to build assembly rooms. Both designs were heavily influenced by the architect Robert Adam. Such splendour attracted royalty. The Prince Regent’s Ball was held at the Old Ship and William IV regularly sent for lists of guests so that he could send out invites to dine at the Royal Pavilion. Charles Dickins stayed in 1841. Interestingly, Marlborough House on the Old Steine was built for Shergold in 1765 and was later massively remodelled by the great Robert Adam himself; after Shergold had sold it though. Today, the Old Ship has 152 en-suite bedrooms and is still one of Brighton’s finest along with being a great asset to the seafront scene. The ugly Thistle and Holiday Inn nearby must come down at some point of course (if I have anything to do with it!). The Old Ship’s assembly rooms are now Grade II* Listed and known as ‘The Paganini Ballroom’ after the virtuoso violinist, Niccolo Paganini, who gave a concert there in 1831. As a lover of the subterranean, the best bit for me was viewing the Old Ship’s eerie chalk wine cellars. The moody lighting, meticulous hand-written staff records on the shelves and, most importantly, large stocks of wine make it a perfect place for a private party! 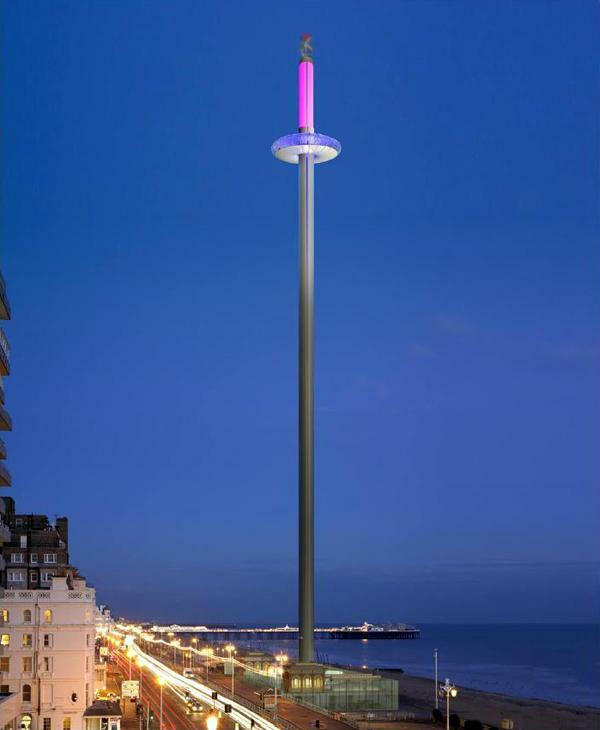 Now that the i360, or Brighton Eye, has been granted planning permission, the debate about whether it should or should not go up is over. The Eye will be iconic, without doubt, but is it good for Brighton’s heritage? Anyone who has seen the view from the top of Sussex Heights should be looking forward to going up the i360 when it is built. Sussex Heights is 82m tall; the i360 will be 172m and just 4m wide! A single pod will carry up to 125 people to the top of what will be Britain’s tallest observation tower to give 25-mile views. The architects, David Marks and Julia Barfield, are the husband and wife team behind the phenomenally successful London Eye. It all sounds good so far but its historically-important location makes it a sensitive subject. The i360 will be placed on the seafront across the road from the centre of Regency Square, at the point where the Grade I Listed West Pier once met land. The Square and Pier were built in 1818-28 and 1866 respectively. In 1968, Richard Attenborough’s film, Oh! What a Lovely War, was filmed on the Pier but it still closed in 1975. The West Pier Trust, who initiated the scheme, and many other interested parties see the i360 as the West Pier’s chance for revival at a later date. The project will pay for the removal of the worst sections of the West Pier wreckage, leaving a tidy central island. 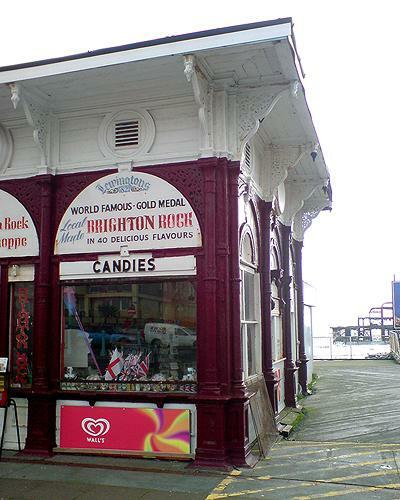 The Pier’s original toll booth (currently the rock shop) along with a new matching copy will become the ticket offices of the i360. There are benefits to local heritage for sure. Everything that I have said so far suggests that I was completely in favour of the project but that was certainly not the case – I had some serious concerns. I was worried about the way that it will look next to Regency Square and also about the height precedents that it may set. Also, and I realise that it’s not an architectural consideration, I was concerned that the i360’s wind turbines could be dangerous to Sussex Heights’ family of peregrine falcons. During the run-up to planning permission being granted, I’m glad that I stood up for concerned local residents and Brighton’s delicate heritage. Now that it’s going to be built though, I want to be the first one up to catch the view!